User is able to View All Linked Notes Record in List View Page, this Helps user to View all Notes Record with One Go with the Help of MORE Or Less Option. 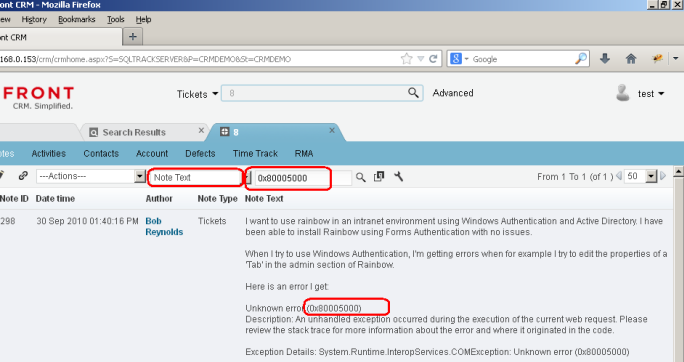 Also User is able to link/Add any record in List View Page. 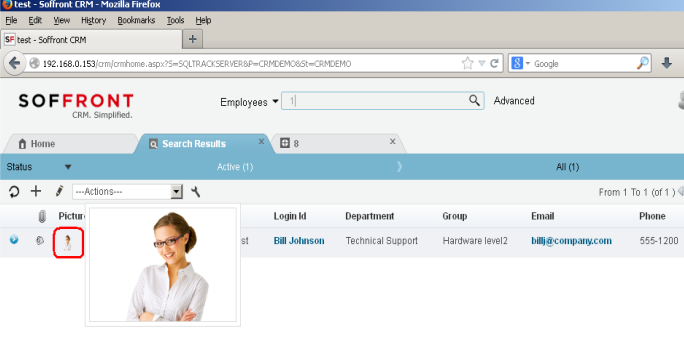 List View page display picture on mouse hover when Admin able to view picture of each Employees in List view page. Additional drop-down implementation for better search in child record based displayed field in List View. Robust user friendly retrieval of child record is based on keyword. 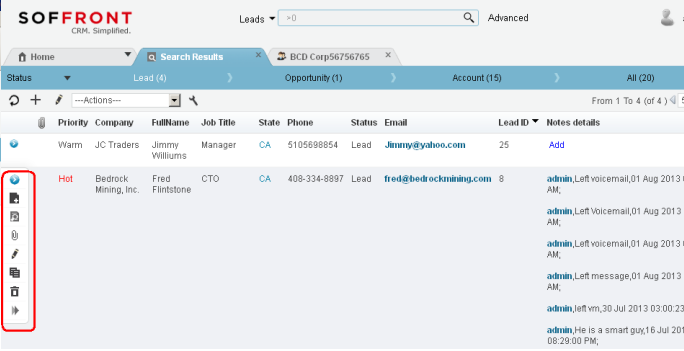 Powerful Global search feature retrieve information from multiple tables at once with record count. User able performed various on demand regular operation through the floating menu. Able to add Quick Notes, Show Notes, Attach file, Modify, Copy, Delete & Forward linked Activity. The Tabbed views are data resident Tabs & once open data resident, no server trip required. 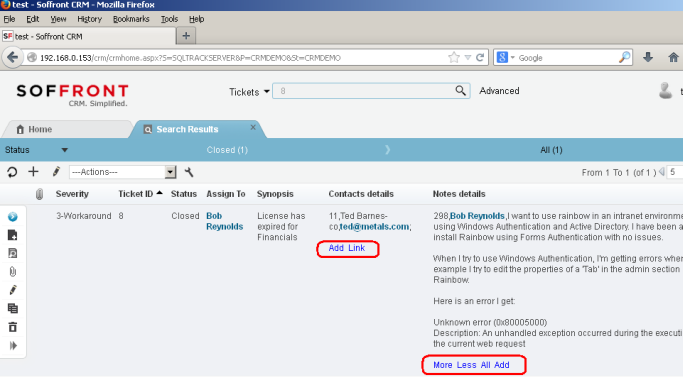 This gives user fully flexibility on opening Parent/Child Record. User can re-arrange TAB by simply Drag & Drop in case of multiple TAB open. Dynamic Tab Framework lets users to open everything in new tabs instead of pop-ups. The New Group BY Feature is available in List View Page. 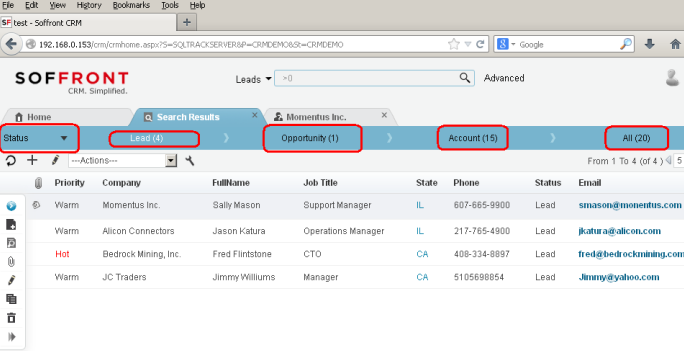 Search result displays (Group By) based on list of values for selected Internal/External Field. Only one Record View – Horizontal Tabbed View. Making parallel tasking easier also eliminating the need to change browser setting to enable pop ups & This User-interface is also suitable for Tablet users. 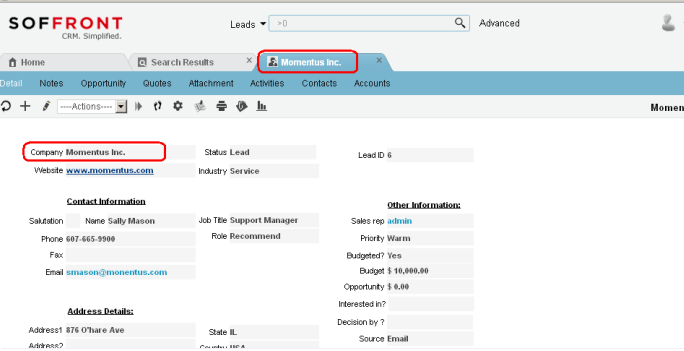 The New Tabbed View utilizes the screen real-estate more efficiently & Less Confusing to users.